The Securities and Exchange Board of India (SEBI) came out with the Investment Advisers Regulations 2013 on January 21, 2013. These regulations came into force from April 21, 2013. According to the SEBI Investment Adviser Regulations 2013 any person acting as an Investment Adviser needs to register themselves with SEBI. 1. What is Investment Advice? Investment Advice is defined as any Advice relating to Investing, Purchasing, Selling, Dealing of Securities or Investment Products. This covers advice rendered Orally or Written or through any means of Communication and includes Financial Planning Advise. 2. What is not “Investment Advice”? Investment Advice given through Mass Media Electronic or Print to general public is not “Investment Advice”. 3. Who is an “Investment Adviser”? Any person who for consideration is engaged in the business of providing “investment advice” to clients whether Individual Clients, Group of Clients or any Person or calls himself as Investment Adviser whatever the constitution of the Person may be. 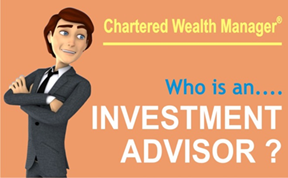 4. Who is not an “Investment Adviser”? a. Any person who gives general advice on trends in the market and does not specify a particular security or investment. c. Any Pension Adviser who offers advice on Pension Products only and is registered with PFRDA. d. Any Mutual Fund Distributor who is a member of a SEBI approved SRO or is registered with an Association of AMC’s and gives advice on Mutual Funds. e. Any Advocate who provides investment advice regarding legalities of investments. f. Any Chartered Accountant, Cost Accountant, Company Secretary, Actuary who provides investment advice specific to their profession. g. Any Stock Broker or Sub Broker registered with SEBI under Stock Broker & Sub Broker Regulations, 1992, Portfolio Managers registered under SEBI (Portfolio Managers) Regulations 1992 who provide investment advice related to their profession. h. Any Fund Manager of a Mutual Fund or Alternate Investment Fund or any Intermediary registered with SEBI. i. Any person providing Investment Advice to Clients exclusively outside India provided they are not Persons of Indian Origin or Non- Resident Indians. j. Any representative and partner of an Investment Adviser who is registered under these regulations. Recognized by the Central Govt., State Govt. Recognized Foreign University, Foreign Institution & Association. A Graduate in any discipline with an experience of at least five years in activities relating to advice in financial products or securities or fund or asset or portfolio management. 2. 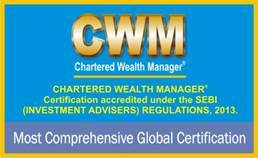 Any Certification Accredited by NISM: Chartered Wealth Manager® (CWM®) Certification® is accredited by NISM under this provision. The investment advisers seeking to register under these regulations need to ensure that their partners and representatives obtain the above certifications within 2 years of Date of Commencement of this regulations i.e. by 21st of April 2015. Body Corporates: Private or Public Limited Net Worth of at least 25 Lacs. Individual or Partnership: Net Worth of Rs. 1 Lac. 1. The Applicant for grant of registration as an Investment Adviser under SEBI (Investment Advisers) Regulations, 2013 should make an application to SEBI in “Form A” as provided in the Regulations along with all the necessary supporting documents. 2. Generally on receipt of Application, the applicant will receive a reply from SEBI within one month. However, the time taken for registration depends on how the applicant fulfils all the registration requirements and provides the complete information in all respects. 3. The applicant is advised to go through the SEBI (Investment Advisers) Regulations, 2013 for checking the eligibility criteria and such other details which may help expedite the registration process. a. Whether the applicant is providing investment advisery services prior to these Regulations. If yes, provide details. b. Details of the investment advice provided prior to such application. c. It is applying for registration of as a new Investment Adviser providing investment advisery services. a. Form A appropriately filled, numbered, duly signed and stamped. b. Application fees of Rs. 5,000/- by way of bank draft in favour of “The Securities and Exchange Board of India”, payable at Mumbai. 6. The applicant shall also make an online application in terms of the guidelines as prescribed by SEBI from time to time. Within one month the applicant receives a reply from SEBI informing on Approval or Dis Approval of Certification. 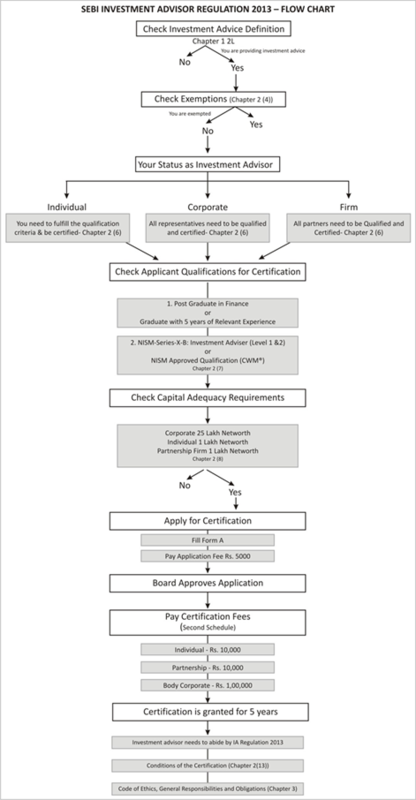 The applicant is Granted certification as per the Format provided as Form B.
C. Documents to be attached along with the From A.
c. Copy of the Certification obtained as per Section 7(2) like Chartered Wealth Manager® or NISM IACE Certification. d. Number of Employees of Applicant who will render the Advice on his behalf and their Qualification Proof as mentioned in points a, b and c.
f. Details of any business interest of the applicant in any company or firm as partner or director. g. Copy of ITR or From 16 for the Last 3 Financial Years. h. Copy of assets and liabilities statement and certification of net tangible assets certified by a chartered accountant (not more than six months old at the time of filing of application). Please note that membership number of the Chartered accountant must be included in the certificate. d. Declaration of Compliance with Educational and Qualification Requirements by the representatives. e. List of Associated Companies registered with SEBI, RBI, IRDA or PFRDA with Registration Number. d. Copy of the Certification obtained as per Section 7(2) like Chartered Wealth Manager® or NISM IACE Certification for each partner. e. Declaration that the aforesaid partners shall obtain fresh certification before expiry of the validity of the existing certification to ensure continuity in compliance with certification requirements. f. Copy of assets and liabilities statement and certification of net tangible assets of the partnership firm certified by a chartered accountant (not more than six months old at the time of filing of application). Please note that membership number of the chartered accountant must be included in the certificate. In addition to the above documents as per the constitution of the applicant the following documents need to be provided by all applicants irrespective of their constitution. 3. Execution Services: i.e. if the applicant has an advise execution service or product distribution service that is offers or intends to offer to its clients. The applicant need to give a declaration that the execution service is offered through and different department or division than the advisery service. 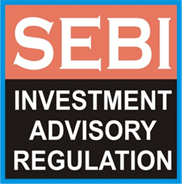 Post Registration Compliance: The SEBI Investment Adviser Regulation Places some very important compliance requirements on the Investment Adviser Registered under this Act. The basic motive of these compliances is to regulate the quality of the advice and to protect the interest of the clients availing services of the “Investment Adviser”. 1. Honesty and fairness: An investment adviser shall act honestly, fairly and in the best interests of its clients and in the integrity of the market. 2. Diligence: An investment adviser shall act with due skill, care and diligence in the best interests of its clients and shall ensure that its advice is offered after thorough analysis and taking into account available alternatives. 3. Capabilities: An investment adviser shall have and employ effectively appropriate resources and procedures which are needed for the efficient performance of its business activities. 4. Information about clients: An investment adviser shall seek from its clients, information about their financial situation, investment experience and investment objectives relevant to the services to be provided and maintain confidentiality of such information. 5. Information to its clients: An investment adviser shall make adequate disclosures of relevant material information while dealing with its clients. 6. Fair and reasonable charges: An investment adviser advising a client may charge fees, subject to any ceiling as may be specified by the Board, if any. The investment adviser shall ensure that fees charged to the clients is fair and reasonable. 7. Conflicts of interest: An investment adviser shall try to avoid conflicts of interest as far as possible and when they cannot be avoided, it shall ensure that appropriate disclosures are made to the clients and that the clients are fairly treated. 8. Compliance: An investment adviser including its representative(s) shall comply with all regulatory requirements applicable to the conduct of its business activities so as to promote the best interests of clients and the integrity of the market. 9. Responsibility of senior management: The senior management of a body corporate which is registered as investment adviser shall bear primary responsibility for ensuring the maintenance of appropriate standards of conduct and adherence to proper procedures by the body corporate. 1. Must act in Fiduciary Capacity and disclose all Conflicts of Interest to the Client. 2. An investment adviser shall not receive any consideration by way of remuneration or compensation or in any other form from any person other than the client being advised, in respect of the underlying products or securities for which advice is provided. 3. An investment adviser shall follow Know Your Client procedure as specified by the Board from time to time. 8. Once registered, the IA must comply with the reporting requirements as specified by SEBI from time to time. 9. The IA must regularly check the SEBI website for any updation / circulars/ guidelines issued from SEBI from time to time with respect to the IA. 10. The IA must intimate to SEBI any material change in the details already furnished to SEBI within a reasonable period of time. To know more about Chartered Wealth Manager® Certification Program Please click the link below and fill the ‘Enquire Now’ Form. I am an Insurance agent about 25 years. Mutual fund ARN holder. Stock broking agreement with Kotak securities. mainly with LIC Agency. Should wright Investment advisor about myself? Where do we complain against companies like Trade Cure which fleece people of their money and keep Giving Stop Loss calls? I have been a MF distributor [ARN 43652] in the past for half a dozen reputed companies. When it needed to renew my distributorship registration, I found the renewal fees was enhanced very high to Rs.2500. Coupled with market downtrend, unattractive gains to clients, etc. , I skipped to renew and 3 years have passed. Pl let me know the procedure to revive the registration. Dear , I have been working with tradecure Research last 2 months & I am in good profit. fact is that tradecure Research is SEBI registered company so we can trust . thing is that stop loss will be triggered in market but finally we are getting profit at the end of day. If we think that there will be no stop loss so I think we are living in illusion not in reality. I have been trading since 2008 at that time I lost my capital. gradually i came to know about the tradecure Research . I found the 1st time best advisory in india. because they do risk assessment & as per trader risk they will suggest the product. when I took services from tradecure they never said 100% accuracy they made promise that I will be in profit at the end of services. Although after earning good profit I made rest of the amount.